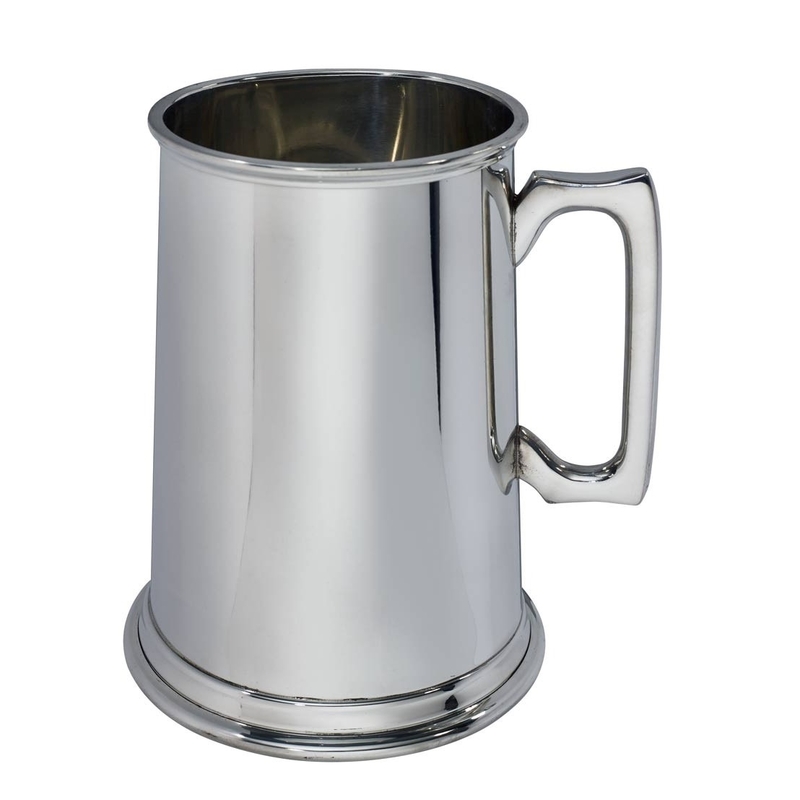 A fantastic traditionally shaped three pint tankard with square handle. Superbly manufactured by Wentworth of Sheffield the tankard has a highly polished finish inside and out making it perfect for engraving! A wonderful gift that would also work well as a trophy! 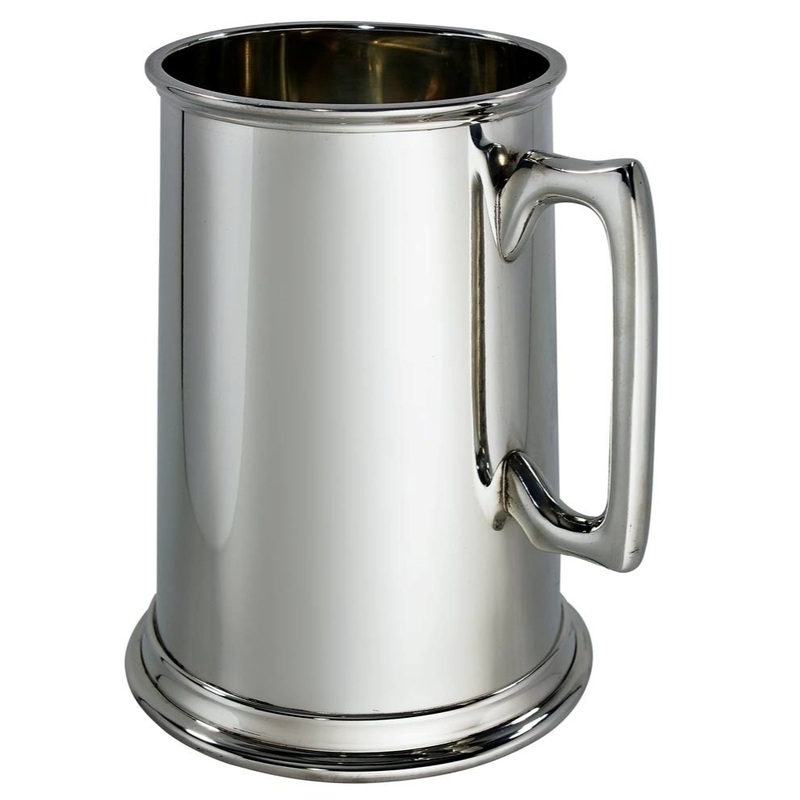 As a guide to help you with the format of the engraving we would suggest that the message be engraved to the front with the handle to the right. You should specify whether to use 'dots' to separate any initials and also be clear on upper and lower cased characters.